I've somehow gone from being very reluctant to ever buy clothes online to a voracious online fashion shopper. Along the way, I'm collecting a small select list of the very coolest online clothes boutiques for us men. Strangely, many of the coolest placest online are maybe not in the places you first might expect. Belfast, Manchester, Aberdeen, and Newcastle (not London), Brooklyn (not Manhattan- ok ok, Brooklyn is already cooler than Manhattan), Malmö (well, also Stockholm), and Ballard... seriously, Ballard?!? Posted on June 15, 2010 by Scott Forrest and filed under Uncategorized and tagged clothes fashion online shopping Style. Today (March 24, 2010) would have been Steve McQueen's 80th birthday. 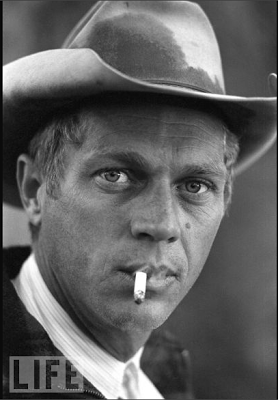 Through my father, Steve McQueen also became a hero of mine even if I barely remember his passing. Like few others of any era, and so rarely today, he simply embodied cool without ever seeming to try to cultivate it. These photos express what has been lost in the decades we've lived without him. Posted on March 24, 2010 by Scott Forrest and filed under Uncategorized. Posted on March 19, 2010 by Scott Forrest and filed under Uncategorized. Posted on May 5, 2009 by Scott Forrest and filed under Uncategorized. Posted on May 12, 2006 by Scott Forrest and filed under Uncategorized.